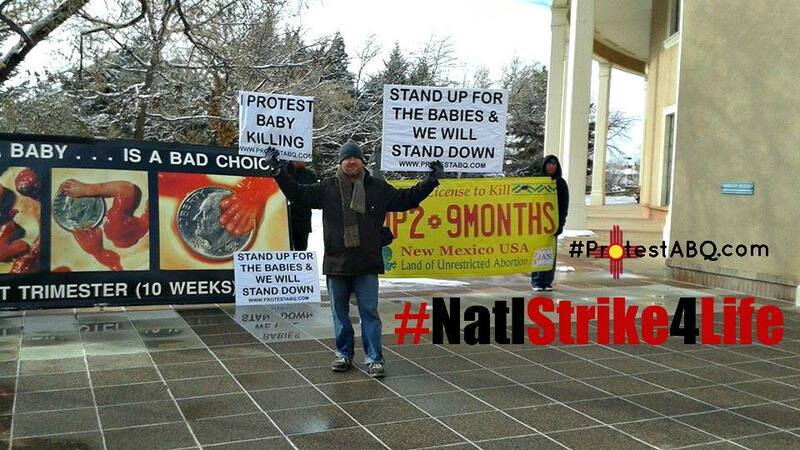 Albuquerque, NM- The first ever National Protests and Strike for life was a success both locally here in NM and across the nation. Protest ABQ kicked off 3 days of protests by attending the annual Sanctity of Life Awareness and Unity Day/NM Rally for Life event in Santa Fe on January 21st. On January 22-23rd Protest ABQ held protests at the State Capital building in Santa Fe, NM, in front of the New Mexico Medical Board and other high traffic areas including 2 of the 3 remaining abortion facilities in Albuquerque. Our protests were effective in exposing the injustice of abortion which so many, including satan himself, wants to keep hidden. Our protests also served to show our leaders and others in authority that as New Mexicans we do not want pre-born child killing to be ignored or tolerated any longer. A remarkable turn-around has taken place as a result of a year of focused protests culminating in last week’s National Strike for Life. Read the rest of these encouraging latest developments by clicking here: Find out what happened in New Mexico and why it is a big pro-life success! Albuquerque, NM- The month of January is unofficially designated by pro-lifers as the”Sanctity of Life Month.” January is always chocked full of Pro-Life efforts with annual Pro-Life Marches across the nation protesting and grieving the tragic Roe. vs. Wade ruling handed down from our US Supreme Court on January 22, 1973 along with the National Sanctity of Human LIFE Day, 2015 or “Sanctity of Life Sunday” designated so by President Ronald Reagan. Pastor Manny’s desire in purchasing 10 copies of this “how-to manual” for making communities abortion free, is to make it a mandatory component of their ordination requirements. The 10 books he purchased represent 10 future church leaders who will actively pursue proven strategies to make Albuquerque, New Mexico, known nationally as the Late-Term Abortion Capital of America…Abortion Free! I’m no rocket scientist…but even I can see that this is the ANSWER for making our communities “Abortion Free.” My prayer is that more church leaders will catch the vision of Pastor Manny and take their Pro-Life efforts to the next level at their church! 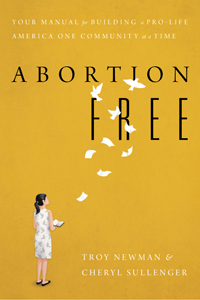 “In Abortion Free, Newman and Sullenger share a collection of experiences from the front lines in the battle for life that illustrate successful methods they have developed over decades of activism that are closing down abortion facilities and putting abortionists out of business around the nation. 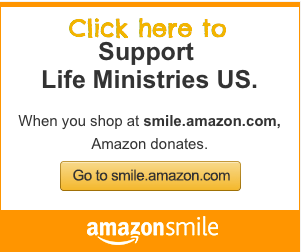 When abortion clinics close, lives are saved” Click here for more information. The vision of Project 52 is to activate 52 local churches to adopt the Late-Term abortion clinic, Southwestern Women’s Options (SWO) for one week out of the year. Each church will have the freedom to minister as they see fit to each and every abortion minded woman. During their designated week, they will claim the Late-Term abortion clinic for every hour, every day SWO is open (Mon-Fri 9am-5pm). Our efforts over the past 4 years here in Albuquerque, New Mexico are featured in the book “Abortion Free”. Tara and I will be announcing news over the next few weeks about the next step’s we will be taking in this new year that we feel are vitally important to making Albuquerque and New Mexico, “Abortion Free”…STAY TUNED! This story that originally appeared at LifeNews.com was one of the top 5 most read national pro-life stories this week! Please keep this family and our efforts here in Albuquerque, NM in your prayers. The pro-life community from all across the world came together in prayer and action in an attempt to help a divided family from the United Kingdom who traveled to the United States for a late-term abortion. Unfortunately, the pro-life efforts were unsuccessful and a mother aborted her 30-week old baby yesterday in the U.S.
Local New Mexico-based pro-life advocate Bud Shaver tells LifeNews that a 20-year-old woman came to Albuquerque, New Mexico to seek an abortion at 30 weeks of pregnancy. The young woman traveled with her radically pro-abortion father by her side, he said, who was pressuring her to have the abortion. The woman’s mother sought help within the UK and then Priests For Life became involved once the woman was on her way to the United States. Janet Morana, Executive Director of Priests For Life, issued an urgent plea yesterday to pro-life activists before the abortion with more details about the situation. Fr. Stephen Imbarrato, a local priest in New Mexico who is also a leading local pro-life activist, also tried to help the family find abortion alternatives. Fr. Imbarrato worked tirelessly with the family to make the best resources available to this young woman and her father and offered to pay allof the costs of flying the family to a maternity home willing to take in the young woman and provide for her. Sadly, as Shaver tells LifeNews, the young woman went ahead with the abortion. “Unfortunately it appears that the young mother did end up killing her child despite all of our best efforts. Please keep her and her family in your prayers, they will need your prayers now more than ever,” he said. A local pro-life sidewalk counselor at the late-term abortion clinic in New Mexico that did the abortion yesterday reported from the scene. “It breaks my heart to tell you that it seems Emily went through with the abortion. Every possible effort was made by our pro-life community to save this baby & her mother from the pain abortion WILL cause her,” the local pro-life advocate said. The sidewalk counselor indicate the woman would return today to complete the abortion. “If you would, please continue to pray. Because Emily was 30 weeks along, she will need to return to the clinic tomorrow to have her cervix artificially softened in order to deliver her dead baby. She will labor as if she is full term & her as if her baby were alive. I cannot fathom how painful this will be. Not to mention the lifetime of regret & suffering Emily will endure because of this choice,” the counselor said. URGENT PRAYER: UK Woman Coming To ABQ To Kill Her Child at 30 Weeks!